The land of undiscovered mystery has some spookiest places to add to your itinerary. From religious practices to rituals that are quintessentially Indian, these traits have made India a popular tourist destination. Therefore, when it comes to listing the most haunted places in India, there is not better country to start with. Add Spooky Places To Visit In Your 2019 Bucket List. The Bhangarh Fort in Rajasthan has to be in top of the list. Situated near a popular forest, this town is now slowly luring visitors from around the area and country, making it a tourist hotspot. But, one has to keep in mind that no one is allowed inside the fort after 6 PM. There’s even a warning notice right in front of the fort. The story which this town is well-known for tells the tale of a magician who fell in love with the local princess of the area even though their match was impossible. Being quite the master of dark magic, he decided to cast a spell on her to make her surrender to him. However, the princess learned of his plans and found a way to kill him. Before his death, however, the magician cast a dark spell on the palace which caused its doom. This was considered among the most beautiful hotels of Ooty, a summer abode amidst the serene hill station. But it’s believed to be haunted now. During the shooting of Raaz, the film crew were stationed on the ground floor. Around midnight, they heard furniture being moved around on the floor above. The disgruntled guests headed to the reception, to straighten things out. Only to find out that the hotel did not have a first floor. If you’re planning a trip to Delhi or near by, you must visit this masjid sharing its boundaries with Qutub Minar. This archaeological site has more glory to it for its haunted stories. There are numerous tales about the Jinns which are believed to reside within the walls of Jamali- Kamali. People are scared to visit the place with the number of unexplainable phenomena, while few stay here at night to experience the same. There are instances of people sighting apparitions, lights, animals growling and even the eerie feeling of someone’s breath on your neck. 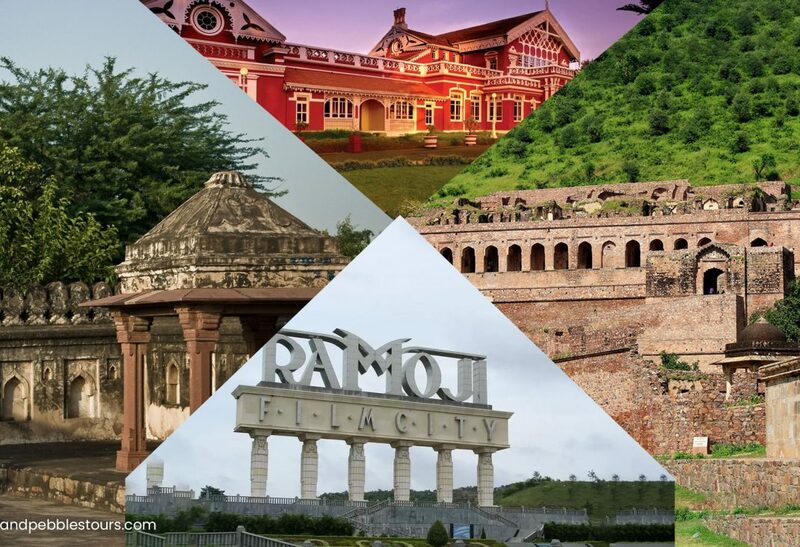 One of the biggest and famous film cities in the country, Ramoji Film City studios are believed to be built on an erstwhile battleground, dating back to the Nizam Sultans of Hyderabad. Rumour has it that the spot is haunted by the dead soldiers. Witnesses report the lights kept on top keep falling off, the light men- who sit with the lights on top have been pushed so many times and many have had grievous injuries. The food left in rooms also get scattered around the room and strange marks are left on the mirrors. Fifty-one years ago, the port town of Dhanushkodi was hit by a terrifying cyclone that swallowed the town whole. A once bustling town was reduced to ruins. Now, it’s referred as the “ghost town” & is a popular “dark tourism” destination. Although there aren’t any spirits (yet!) that haunt the town, the eeriness and the deafening silence will send shivers down your spine.